Michael Black began his career in the public accounting field specializing in tax planning for both individuals and businesses. He has since redirected his practice to focus on comprehensive financial planning. Michael is a Certified Financial Planning (CFP®) professional and holds membership in the Financial Planning Association. In addition to his securities licenses he is licensed in both Life and Health insurance. He is a Certified Divorce Financial Analyst (CDFA®), and holds member with the Institute of Divorce Financial Analysts (IDFA™). Most recently he became an Accredited Investment Fiduciary (AIF®) although he has been a practicing Fiduciary from the start of his Financial Planning career. Michael is a frequent lecturer on financial topics both locally and nationally. 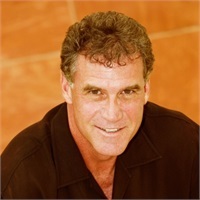 He has been featured in the Wall Street Journal, Forbes Money, Men’s Health, among others, and is a regular contributor to the Arizona Republic. He has made appearances as a Financial Expert on Fox News 10, ABC 15, Sonoran Living Arizona Family News Channel 3, National broadcast include: Nightly Business Report and The Financial Advisors on PBS. Michael graduated from the University of Arizona, where he majored in both Accounting and Finance, and from the Investment Training Institute. He also has achieved certifications as a CERTIFIED FINANCIAL PLANNER™ or CFP® practitioner from the College for Financial Planning, and Certified Divorce Financial Analyst® from the Institute for Divorce Financial Analysts (IDFA™). Michael Black, CFP®, CDFA®, AIF® and is an Associated Member of The Investment Advisors, a division of ProEquities, Inc. ProEquities is a Registered Investment Advisor and a Registered Broker/Dealer with the Securities and Exchange Commission, and is a member of the Financial Industry Regulatory Authority, Inc. (FINRA) and the Securities Investor Protection Corporation (SIPC). Michael also holds memberships in the International Association for Financial Planning, the Institute for Certified Financial Planners, the Institute for Divorce Financial Analysts, and the National Association of Life Underwriters. Michael is married and has 4 children. He is an avid boater and has worked as a delivery captain, delivering small yachts transatlantically throughout the eastern seaboard and the Mediterranean.